An Hour With Novelist E.L. Doctorow. 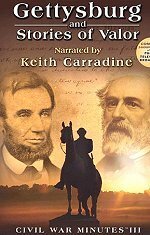 His Latest Book Is The March, A Re-Telling Of General Sherman'S Famous March To The Atlantic. 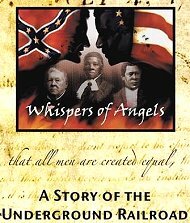 It Was Nominated For The National Book Award. The biographical documentary that shows one man's courage and fortitude: Harvard student William F. Bartlett stretches the bounds of human resilience in "Shot to Pieces." His determination to triumph in battle is legendary. Hit again and again by Confederate rifle and cannon fire, Bartlett resolutely returns to battle despite myriad injuries. Even after losing his leg from the knee down, this brave soldier leads his troops with an untiring spirit. 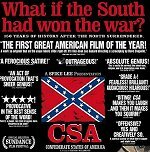 Presented as a mockumentary, this film - through the use of fabricated movie segments and actual footage, attempts to sheds light on what America would be like if the South won the Civil War. In August of 1862, a new regiment of volunteers was being formed in the state of Maine. The 20th regiment. Their Colonel was a West Point graduate named Adelbert Ames, already hardened by battle. He was so disgusted by the sight of these new recruits, that he told them all to "desert and go home." But of course they didn't... Their Lieutenant Colonel was an obscure theology professor named Joshua Chamberlain, who received his commission by political appointment. 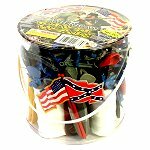 Yet, by the end of the war, he rose to the rank of Major General, won the congressional Medal of Honor, and was chosen by Ulysses S. Grant to receive the surrender of the Confederates. 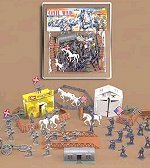 Exporing the life of the Confederate soldier: Though people often remember the generals and commanders from a major war, its outcome also depends largely on the nameless soldiers in the front lines. 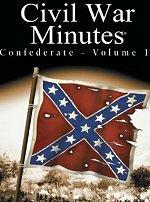 Illuminating little known history, "Civil War Minutes - Confederate Volume 1" features rarely told stories of both the famous and average Confederate soldiers in the Civil War. 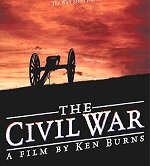 In the film, you will see many artifacts including a Confederate musket recovered from the bottom of the sea after 100 years in the belly of a sunken Confederate blockade runner as well as rifles and ammunition used by both Union and Confederate soldiers during the Civil War. 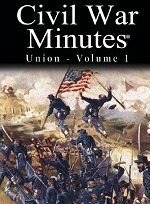 Also get an eyewitness account of the fall of the Union's Fort Sumter from a Confederate soldier's report to his hometown newspaper. In the film, you will find out what life was like from the perspective of the average foot soldier through never-before-seen photographs, artifacts and rare paintings and engravings. Also learn about the lives of soldiers through their handwritten letters to home. 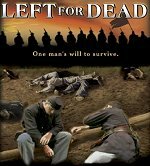 The biographical documentary of a fearless military leader: Pain, destruction and suffering cannot conquer the infallible war hero Oscar Jackson in "Left for Dead." He lives through injuries that would overcome most men. 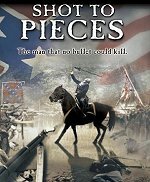 A natural leader, Jackson abandons his studies of law to recruit his own company of Ohio soldiers, who then serve with the Ohio Brigade. 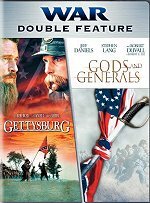 Consumed by the Union's cause, Jackson fights in some of the deadliest battles of the Civil War, including the Battle of Corinth where he is blasted in the face with a musket ball. The Federal Executive Institute hosts a thrice annual event which features the Surrender at Appomattox. This particular event was held in Appomattox, Virginia at the Babcock House, about four miles southwest of the rebuilt McLean Surrender House, on the National Park Service property. 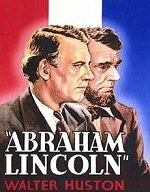 Brief vignettes about Lincoln's early life include his birth, early jobs, (unsubstantiated) affair with Ann Rutledge, courtship of Mary Todd, and the Lincoln-Douglas debates; his presidency and the Civil War are followed in somewhat more detail, though without actual battle scenes; film concludes with the assassination. The Ghost Hunters visit the historic Samuel Mudd House, famous for being a pit stop for John Wilkes Booth on his escape route following the assassination of Abraham Lincoln. Several apparitions allegedly haunt the house, which is now operating as a museum. Then, join TAPS as they investigate the Edgewood Plantation, part of the ancestral home of U.S. Presidents William Henry and Benjamin Harrison and site for the Confederate army during the Civil War. Today, it is officially a national- and state-regulated landmark and is a hotbed of paranormal activity, including full-bodied apparitions. The Cashtown Inn, a quaint bed and breakfast that served as headquarters to Confederate General A.H. Hill and as quarters for Confederate officers and their staffs. A stable located next to the Inn (but no longer standing) was used to shelter the wounded, as were many of the homes in the vicinity. 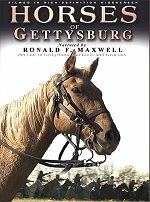 Cashtown itself was transformed into an armed camp for several days in late June and early July 1863, while the battle of Gettysburg raged just eight miles to the east.